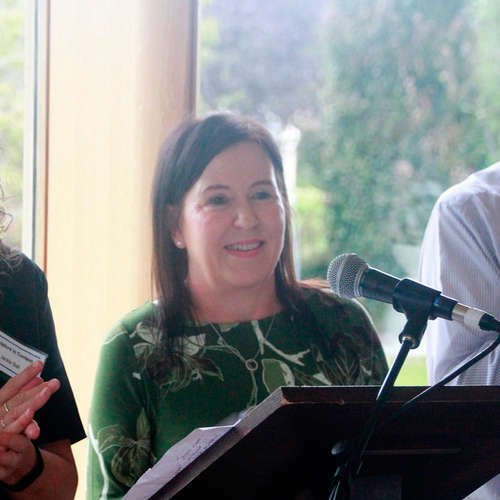 Over €2,200 in prize money was awarded to the winners of this year’s stone awards at the Sculpture in Context in the National Botanic Gardens sponsored by McKeon Stone. 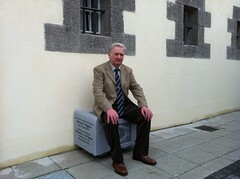 Yvonne Mc Keon presented the prizes to the award-winning sculptors. 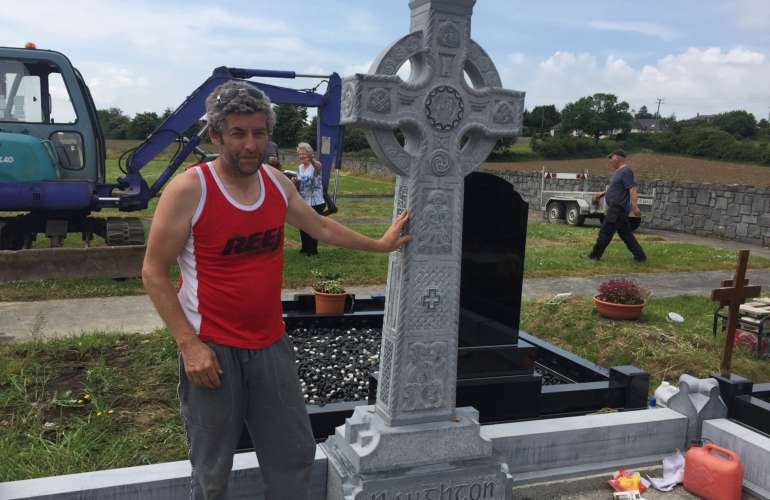 Here at McKeon Stone we were thrilled at the opportunity last year to play host to one of Ireland’s most talented living sculptors, Simon Carman. 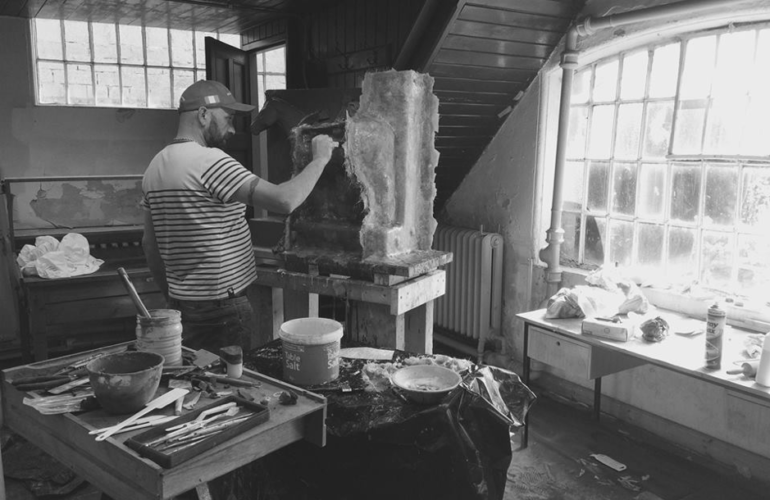 On June 9th, 2018, Carman returned to give an illustrated talk on his work at our stone yard in one of our special sculptural events which we hold on a regular basis. 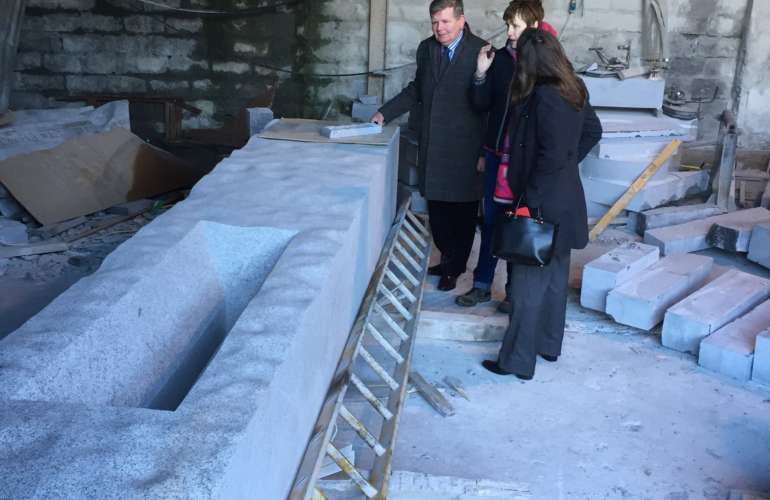 Here at McKeon Stone we quarry some of the best limestone on our planet. Our Kilkenny Blue Limestone is sought after by some of the world’s most talented sculptors as their material of choice when creating sublime works of art. As such, we were delighted to learn that our stunning Kilkenny Blue Limestone was featured at the “on form – Sculpture in Stone” exhibition, the UK’s only art exhibition dedicated exclusively to stone sculpture. 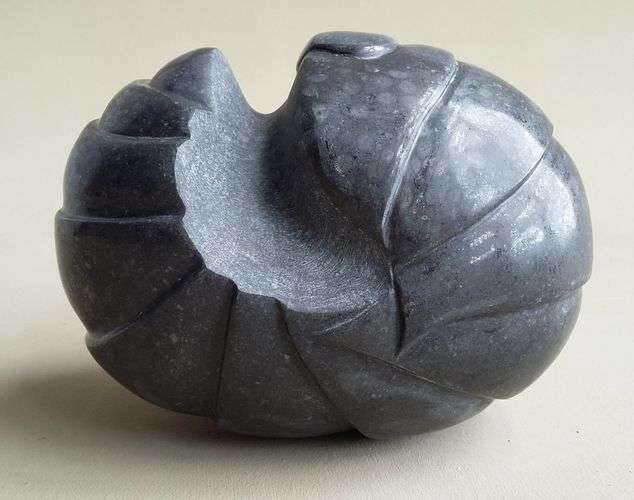 McKeon’s Kilkenny Blue Limestone has been used by sculptor Peter Randall-Page to create three massive works representing geometric forms of the kind which frequently occur in the natural world. 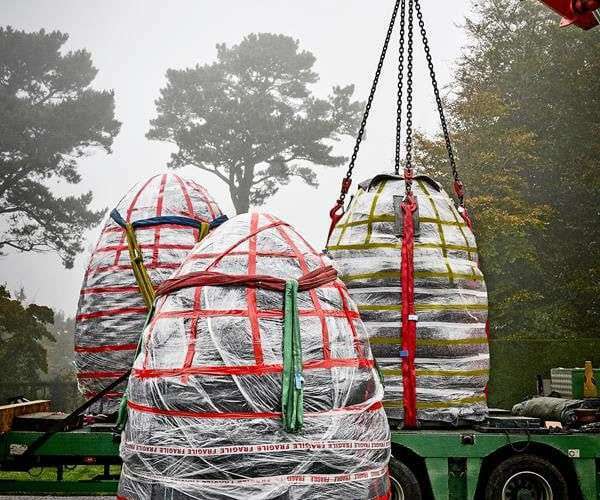 They are currently on public display at Castle Drogo, near Drewsteignton in Devon, England. 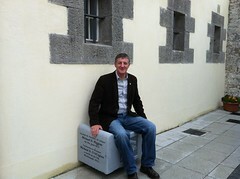 Artist Paul D’Arcy has used Kilkenny Blue Limestone in the creation of two new works depicting Thomas Ashe, the republican and hero of the 1916 Easter Rising. 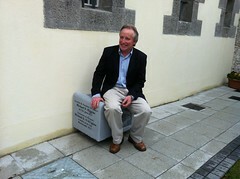 Sculptor Helen O’Connell has used McKeon’s Kilkenny Blue Limestone to create a sculpture representing a basking seal. 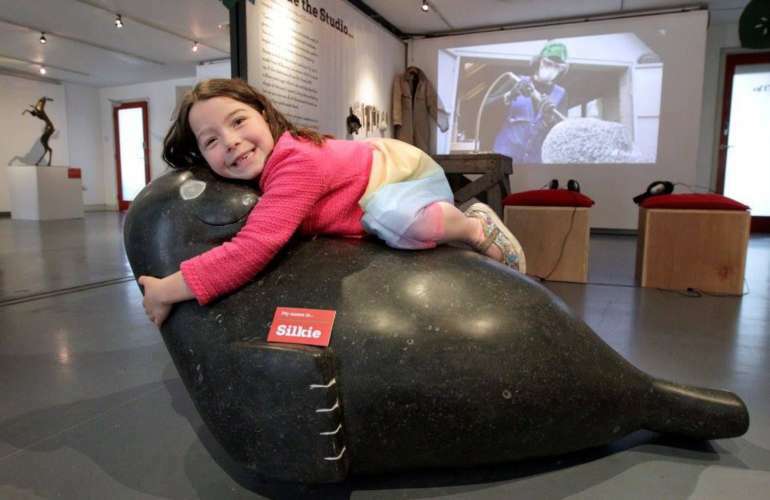 The seal, called ‘Silkie’, is on show at Dublin’s unique Cultural Centre for Children, The Ark in Temple Bar. 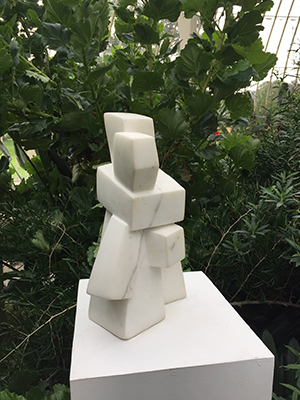 Over €2,200 in prize money was awarded to the winners of this year’s Sculpture in Context in the National Botanic Gardens sponsored by McKeon Stone. 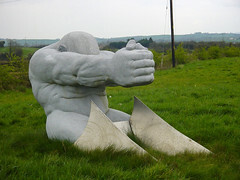 Alan Counihan’s work was created at the McKeon limestone quarry at Three Castles and their fabrication workshop at Brockley Park, Stradbally, County Laois. 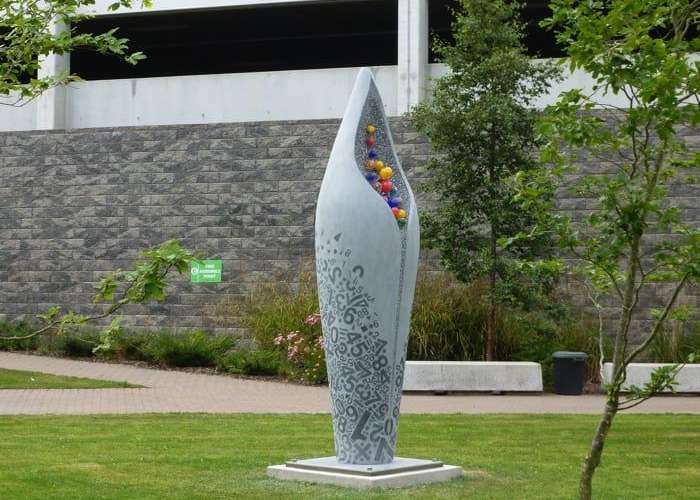 Assisted by fellow sculptor Ruairi Carroll, Alan created two large limestone seed heads, from which emerge multi-coloured glass shapes representing seeds. The glass was the work of Jerpoint Glass of Glenmore, County Kilkenny. The work reflects the natural world and the process of germination and growth. It also refers to the college’s role in education and discovery, as the surface of each of the two sculptures is inscribed with patterns referring to learning; numeracy on one, literacy on the other. 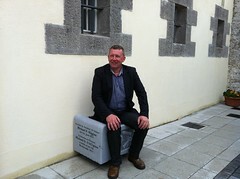 A sculpture dedicated to the Irish playwright Samuel Beckett was recently completed at the McKeon workshop in Stradbally, County Laois by sculptor Eileen MacDonagh.